Who are you when you are hungry? I'm a bear. A total grumpy, cantankerous, "GET OFF MY LAWN!" kind of bear. Also, a total drama queen. If I'm hungry, don't say a single thing to me. 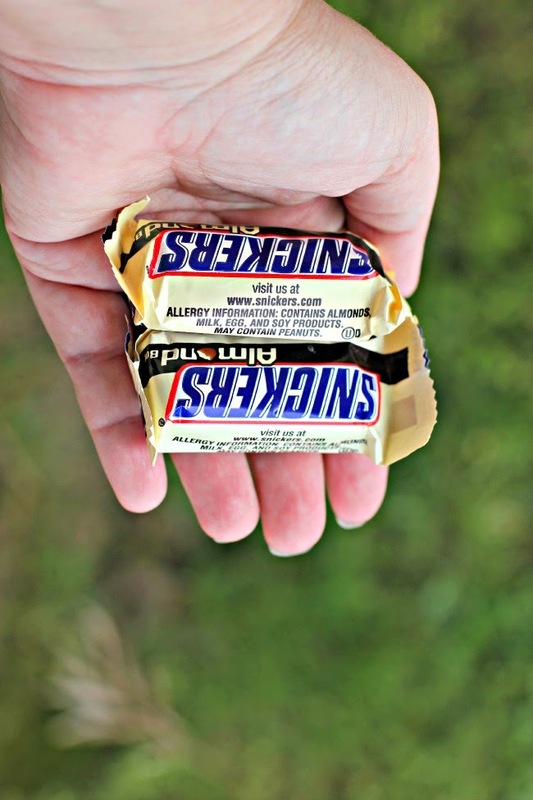 Just throw SNICKERS® at me until I simmer down. Don't say I didn't warn ya! Speaking of lawns, I don't have one. Ha. I live in an apartment and back in February, I told you about my little apartment garden. Two months later, my little plant family has flourished. To say, I've been become a bit obsessed with growing my little plant empire is an understatement. 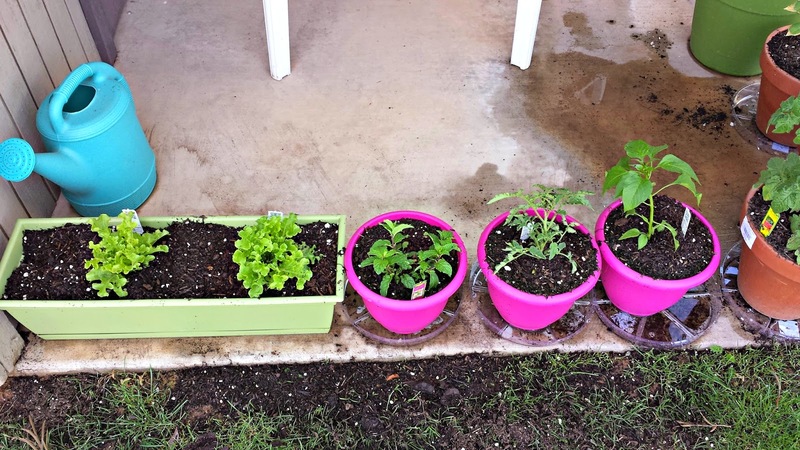 I began with a jalapeno plant, a cherry tomato plant, cilantro, basil and hybrid desert tomatoes. Meet: gourmet salad mix, mint, Amish Paste Roma heirloom tomateos and Sandia heirloom peppers. However... the journey to this stage was arduous. Sit around the campfire kids and let me tell you a story about the Grumpy Apartment Gardener. Once upon a time, there was a mom with lofty goals. She woke up on Friday AM and said to herself she was going to start hiking (two months before the extreme heat hits the Valley of the Sun) and getting in better shape. She put on her running shoes, her good work out pants and a tank. She was a good little hiker: she brought a camel pack loaded with water, sunscreen and a hat. She forgot something... a snack. She forgot she was no longer a 20-something little sprite. Oh no. No. no. no. One round and she was sweating, panting and searching for food. She was ready to start foraging and fighting wild desert fauna for some grubbage. Well... she a wild hare gave her a stink eye and then a snack slithered past her and she all of a sudden remembered that Dollar General was a block away. Hunger started gnawing at her and she just KNEW she was going to collapse from hunger. She ran inside Dollar General and hit the snack aisle and SNICKERS® Almond and Peanut Butter squares started whispering at her "eat me". Yeah. Like Alice in Wonderland except... no shrinking, rabbit holes (but still one scary hare) or the Red Queen. After the hunger crisis was over, she was empowered again. She still has lofty goals, some might say unrealistic but she's had a SNICKERS® Almond bar, so she's cool. She decided to head to a local garden center and add some more plants. 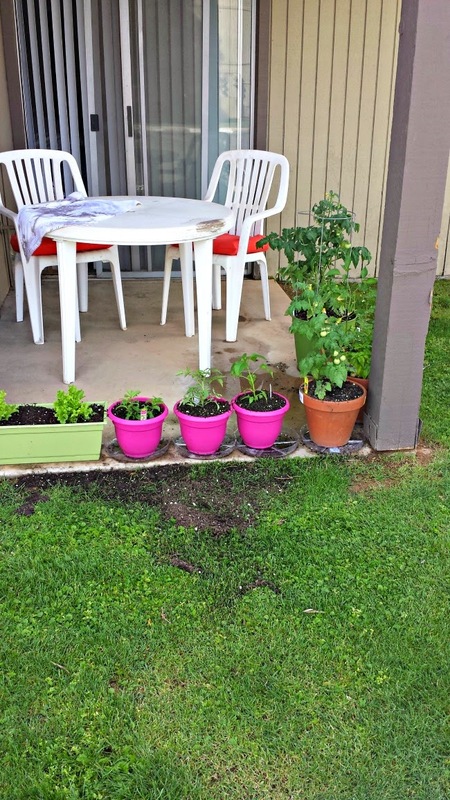 She picked up some potting soil, pots, and plants and was ready to rock this project out. The bag of soil? It got caught on something in the back of her car. It made a big, smelly mess. The gourmet salad mix (plants) she bought? Wilted. Looking half dead. She was tired and grumpy. Her knees hurt. She even yelled at a bird to ZIP IT. She sat down and pouted. SHE WAS HANGRY!!!! (Hunger Anger) RUUUUUUUUUUUUUN. She ate another SNICKERS® and all was right with the world. 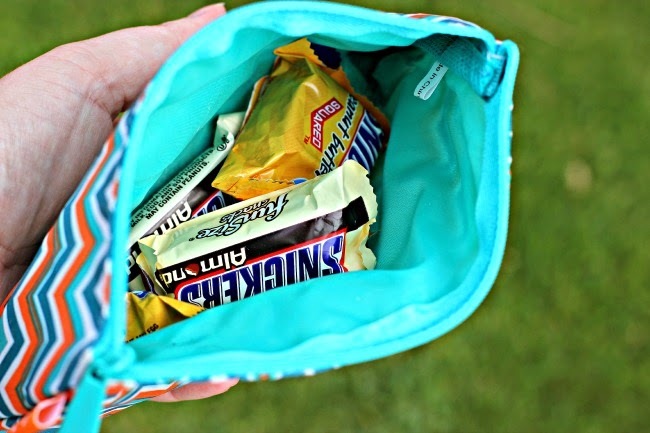 She created an emergency snack bag with SNICKERS® and other treats. Also, water. Lots of water. The Grumpy Apartment Gardener is no longer grumpy now that has snacks at the ready. I have TWO jalapenos! My friend told me that I should get angry with it (like Pa Ingalls from Little House on the Prairie, lol) and maybe my grumpy fit this past weekend woke it up because LOOOOOOOOOOOK!!! 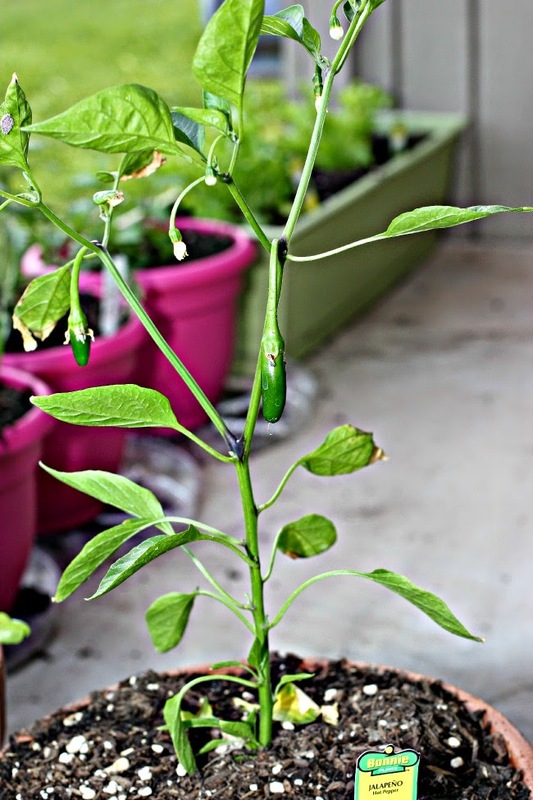 JALAPENOS!!!! I also plan to put up some palettes and grow some great grub and flowers that way. So excited! Who are YOU when you are hungry? Do you turn into a grump like me? 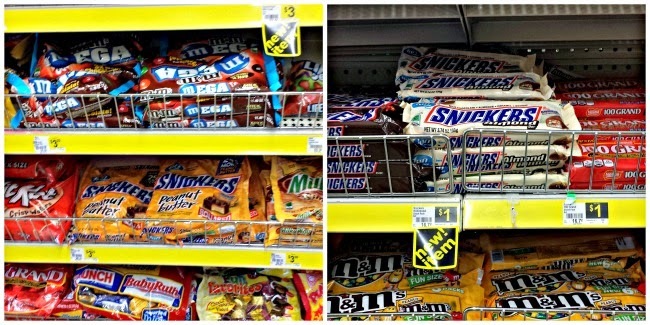 What is your favorite SNICKERS® bar? 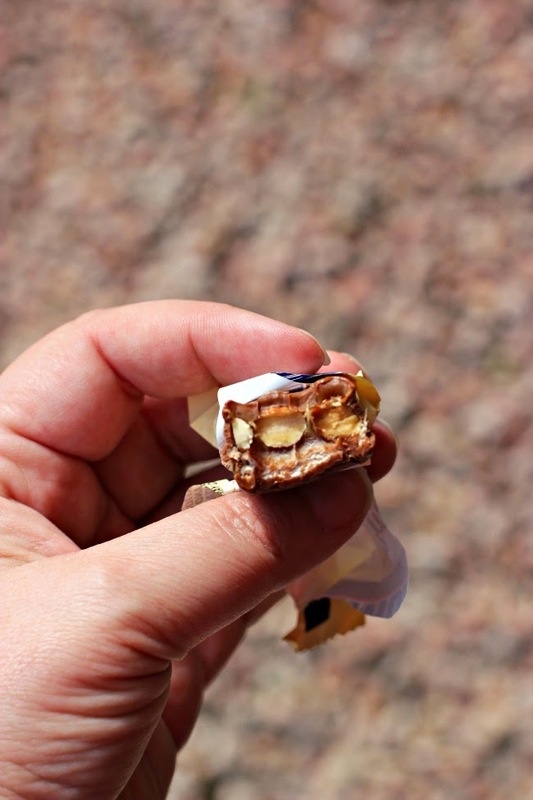 Check out the SNICKERS® social hub and read more stories and get recipe ideas.